for $2,995,000 with 4 bedrooms and 3 full baths, 2 half baths. This 5,586 square foot home was built in 1991 on a lot size of 5.64 Acre(s). 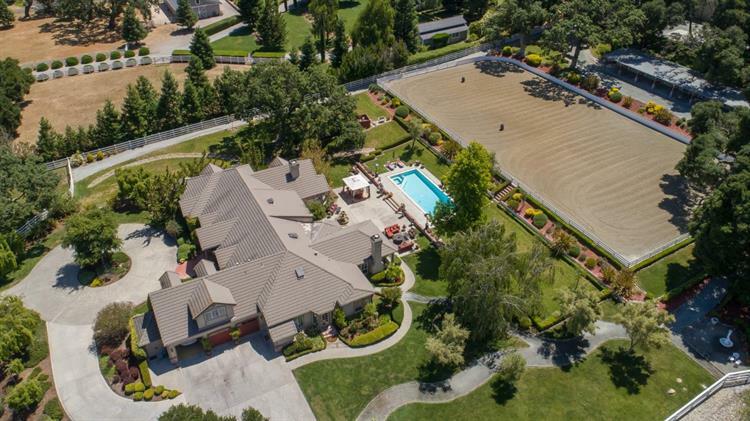 Picturesque equestrian estate behind the charming white gates of Sleepy Hollow in Carmel Valley. Just minutes from the buzz of Carmel Valley Village's numerous tasting rooms and restaurants, this fabulous property offers every amenity and all the privacy one could need in this fully operational -- and fully modernized -- horse property. Step into the 5586 sq. ft. main house, complete with game room, custom chefs kitchen, formal dining, gym, pool and hot tub, guest suite with exterior entrance, radiant heat, his and hers closets in the master, 3 car garage, separate golf car garage, and even 3000 sq. ft. of additional bonus storage space. 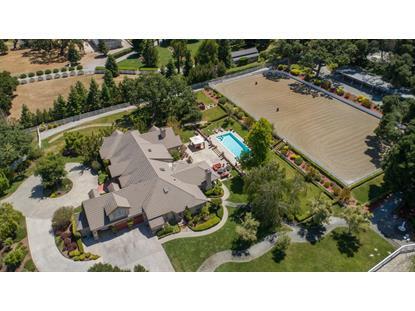 The full-size riding arena, three fenced horse pastures, six separate horse stables with automatic spray system and hot/cold shower for horses plus tack room, and massive storage/toy/equipment barn offer complete on-site equestrian use.